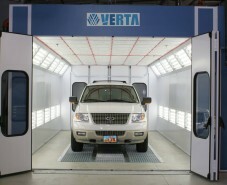 Great Paint Booths Begin with Nova Verta! With a nationwide network of factory-trained paint booth distributors, Nova Verta USA offers complete assistance in shop planning, commissioning, and collaboration with your paint suppliers – all to create a turnkey solution optimized for your production needs. It’s not by chance that Nova Verta products are the choice of Formula One racing teams, NASCAR teams, educational and training facilities, independent and dealer collision repair facilities, truck collision centers, manufacturers and many others. For additional information on Nova Verta products and services, or for details on how you can become a Nova Verta USA distributor, please contact us. 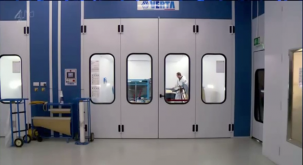 Nova Verta is a national and international leader in creating quality paint spray booths, sanding stations, and prep stations. The paint booths are industrial paint booths and we can even do truck spray paint booths. Our craftsmanship is second to none and we are able to offer a top of the line product at very affordable rates allowing you to outfit your personal or commercial shop with a paint booth that will get the job done in an efficient manner. Nova Verta guarantees all of its work, so in the event that a prep station or paint booth malfunctions, you'll have the peace of mind knowing that technical and mechanical help will be on the way immediately. Nova Verta Paint Booths were recently seen in a documentary in which a Jaguar E-type was restored. Video Description: Mark Evans follows the creation of the Lightweight E-type, the manufacturer’s most expensive car ever, finding out exactly what goes into building . In recent years, it has become essential for body shops to increase productivity, in order to organize the processes like an industry and point not only the quality but also the quantity. Nova Verta, with its wide range of next . 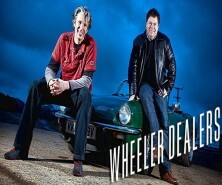 Wheeler Dealers is a British television series worldwide broadcast fronted by Mike Brewer and mechanic Edd China. The premise of the show is that Brewer and China are on a mission to save repairable enthusiast vehicles, by repairing or otherwise .